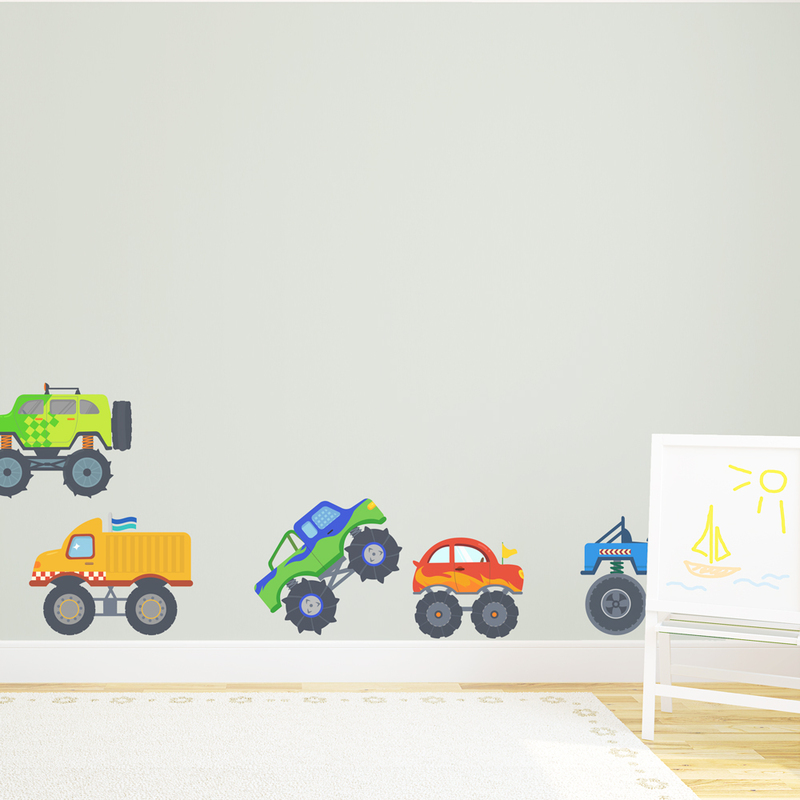 It's Monster Truck showtime! 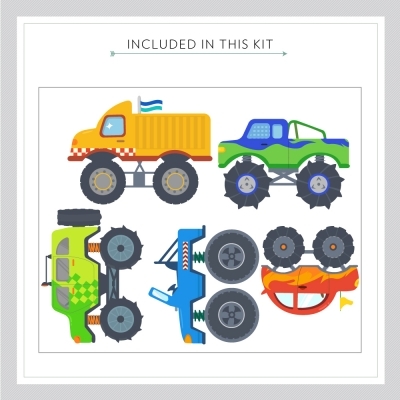 This decal kit includes 5 big wheeled monster truck wall decals in a variety of bright colors. Stack 'em, pile 'em, and have fun with them! Make a monster truck wall mural that will thrill your child. Please note: Colors and sizing may vary slightly from the image above.